GARDEN CITY, N.Y. (Oct. 2, 2017) - New York Lizards attackman Matt Gibson will now go by the moniker of "former" Lizards attackman after signing with the Atlanta Blaze over the weekend as part of the MLL's Player Movement Policy. Gibson becomes the second former Lizard to join Atlanta this off-season, following fellow attacker Tommy Palasek who signed last month. 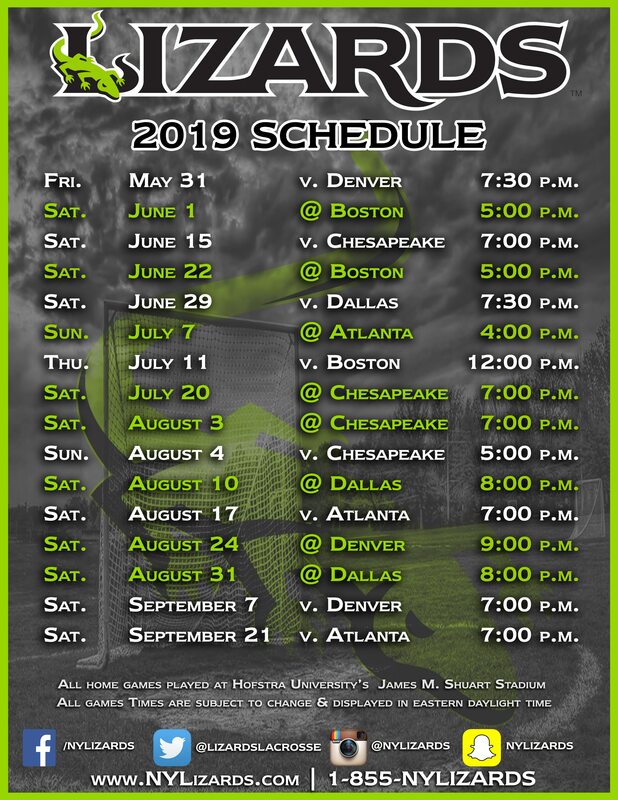 The Lizards will receive a third-round pick in next year's MLL Collegiate Draft from the Blaze as compensation for the move. Gibson, who led the Lizards in scoring for the first portion of the 2017 season, finished the year with 26 goals and 34 total points. He was a member of New York's 2015 MLL Championship-winning team and scored the Lizards' game-winning goal in the semifinals, an overtime win over the Boston Cannons. Drafted by New York in 2012, Gibson played 62 games with the Lizards in his career, scoring 106 goals in a six-season stretch while also totaling eight goals in four play-off appearances. The Yale alumnus collected back-to-back seasons with 26 goals in his last two campaigns with the Lizards and also accumulated 38 assists for a career point total of 145.